If you walk into this Starbucks in Washington, D.C., you’ll be greeted by absolute silence and employees who are fluent in American Sign Language. It’s the first Starbucks in the United States that is completely designed to cater to those who are deaf or who have severe hearing loss issues, and it’s a groundbreaking business model that we hope many other businesses will try to mimic. 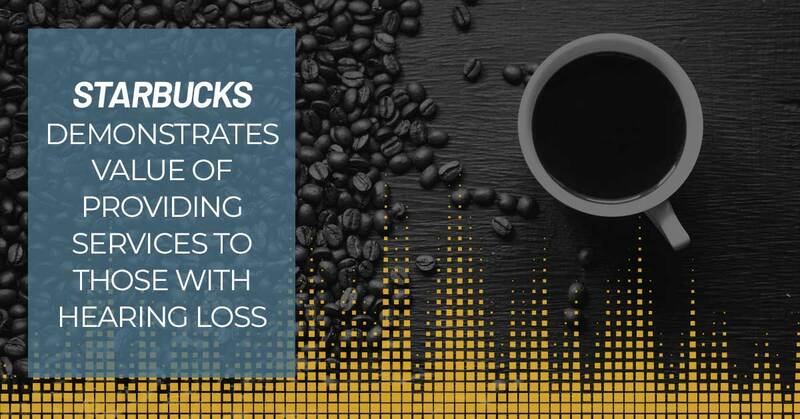 Our staff at Audiology Innovations applauds this Starbucks in Washington, D.C. for this innovative and comprehensive business approach. It truly is great to see corporations increasing their accessibility to all, as well as raising awareness for those who are deaf and have hearing loss. At this Starbucks, hearing people can also order their drinks by using a tablet, making it an inclusive environment for everyone. In this blog post, we’ll go over why demonstrating these kinds of progressive services are extremely important and beneficial to those who are deaf or struggle with hearing loss. If you’re looking for high-quality hearing services from our audiologist in Calgary, schedule an appointment with one of our hearing experts at Audiology Innovations today. What Makes This Starbucks Special? Well, to start, this is the first signing store in the entire U.S. We are amazed at the fact that every single employee at this business is fluent in American Sign Language in an effort to serve the large deaf community in Washington D.C. — from the store manager to the baristas. There’s no music playing, and there are a lot of visual aids throughout the store. On top of that, nearly everyone in the store is signing to one another, and people who visit the store are interested in learning how to sign everything from their name to their preferred caffeinated beverage. How do people order at this Starbucks? The business provides a tablet where individuals can write out their order; a picture menu where individuals can point to their beverage of choice; and is open to other hand gestures and other easy-to-follow signals. When the individual’s order is ready, a monitor in the store will display their name. Not only does this Starbucks provide deaf individuals with amazing job opportunities, but it also features a one-of-a-kind inclusive experience for those in the deaf and hearing loss community. We hope that other businesses see the success of this store and start to incorporate more inclusive services in their own stores. It’s so easy to forget about the difficulties that those who are deaf must endure every single day for everyday tasks that the hearing don’t even think twice about. It’s important to provide accessibility for individuals of any handicap or disability — something this Starbucks clearly demonstrates. Our audiologist and hearing experts at Audiology Innovations in Calgary strive to be an educational resource for those who struggle with hearing loss by providing them with the necessary tools that will improve their everyday quality of life. We offer an array of hearing services, ranging from complete hearing evaluations to hearing aid consultations. Book a hearing appointment with our staff today for either yourself or a loved one. You can reach our office by calling us at (403) 252-4722 or by filling out our online form.